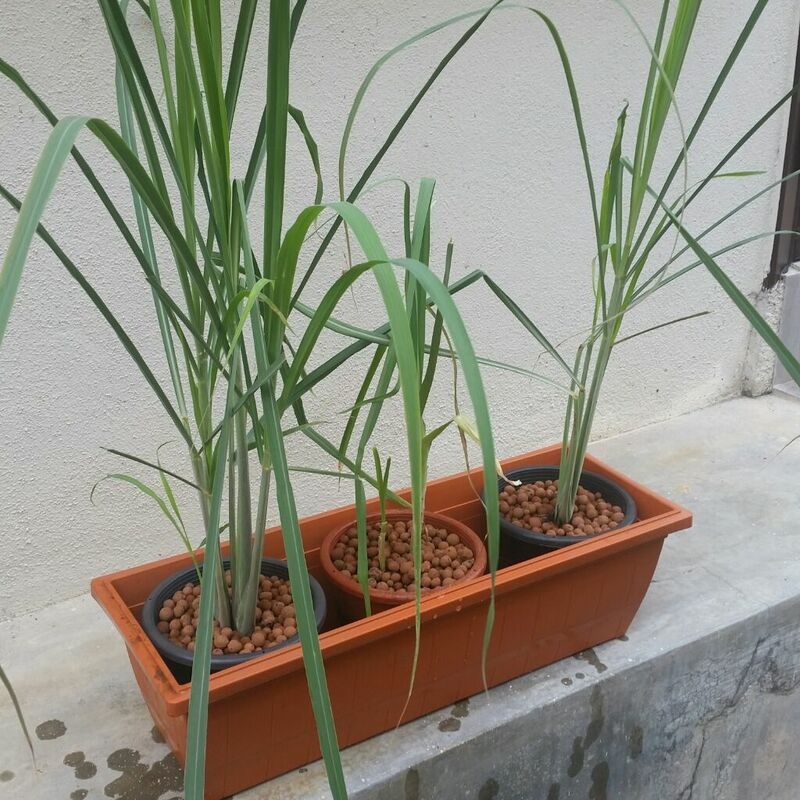 Earlier planted lemon grass in the gutter growbed, then I move it to the backyard set. Now it's time to put it back to the gutter set. 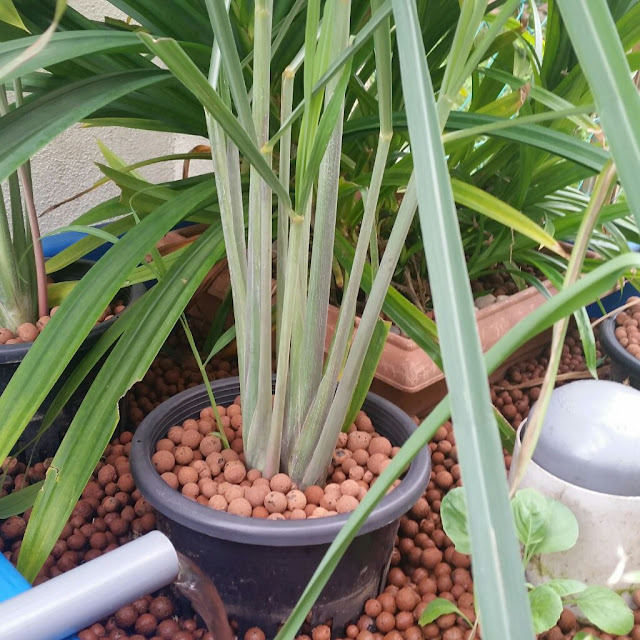 I only have two pots of lemon grass and will need to plant another two, since I want a set of four of each type of plants that I grow in this set. Above are two lemon grass the fragile looking plant in the center is Leeks, Leeks needs cooler temperature to do well, it is just a trial. 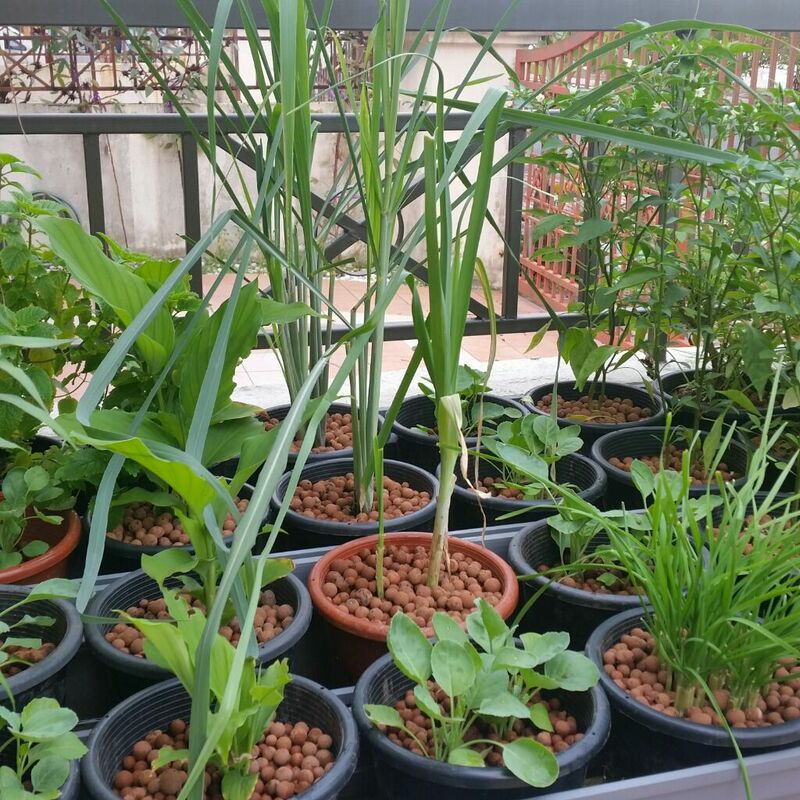 Few more plant variety then the gutter growbed set will be complete.